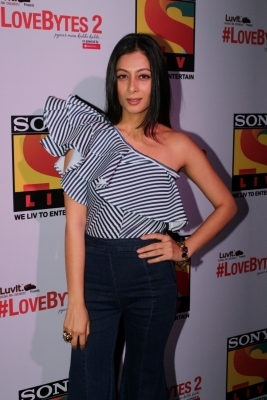 Mumbai, Oct 26 (IANS) Actress Sukhmani Sadana, currently seen in the second season of the web series “Love Bytes”, feels the internet medium is the future of entertainment as the content is modern and progressive. “Web is the new way forward. For the kind of content that writers and producers want to make now, it’s better on web, as their audiences are web watchers. It’s modern, progressive and quick viewing content for people in this century who have less of time in hand,” Sukhmani said in a statement. “From what I know, most of the actors, producers, directors — small ones or big ones — are all exploring web as an option, which is very viable and profitable in all ways,” she added. Sukhmani is best known for her role in TV show “Khotey Sikkey”. She has also worked as a script writer in Vikram Bhatt’s films like “1920” and “1920: Evil Returns”. On her role in “Love Bytes”, she said: “My role in this season was quite different from the previous one. The last time I was a super bubbly and chirpy girl who was very verbal about her opinions. But this time, things are different. Besides Sukhmani, “Love Bytes”, aired on Sony LIV, also features Kushal Punjabi.